Ellis is a United Kingdom based manufacturer of safety critical electrical cable cleats. With over 50 year of innovation and testing, it is now one of the leaders in the industry. 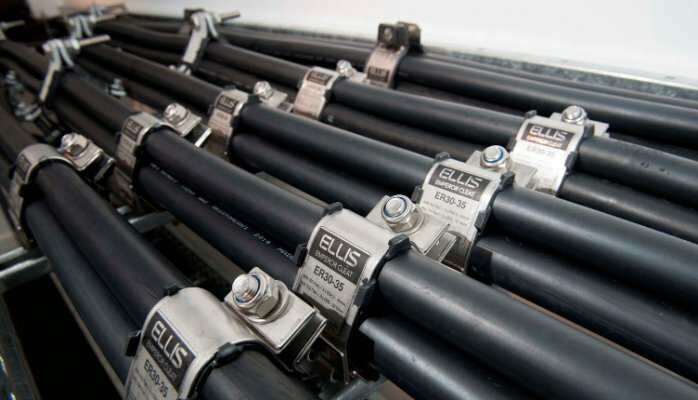 Every day, vital operations and services such as the Channel Tunnel Rail Link, nuclear power plants and oil rigs rely on Ellis products to keep them running safely. Results of regular testing of the product in accordance with the international standard IEC 61914 show that Ellis cable cleats exceed industry requirements and keep their uncompromising quality.